Received these pictures from my reader. He started off just like everyone else. After a few years, now having more than a thousand nests and harvesting many kilograms of nests every month, he believes doing it correctly and consistently using the same product he had first used till now. Located in Sarawak a beautiful place for swiftlet farming. He takes advantage of the environment which has plenty of greens. He often calls me for advice, even now for small and minor problems. I praise him for his undying effort. There are few Swiftlet farms here in the same vicinity. 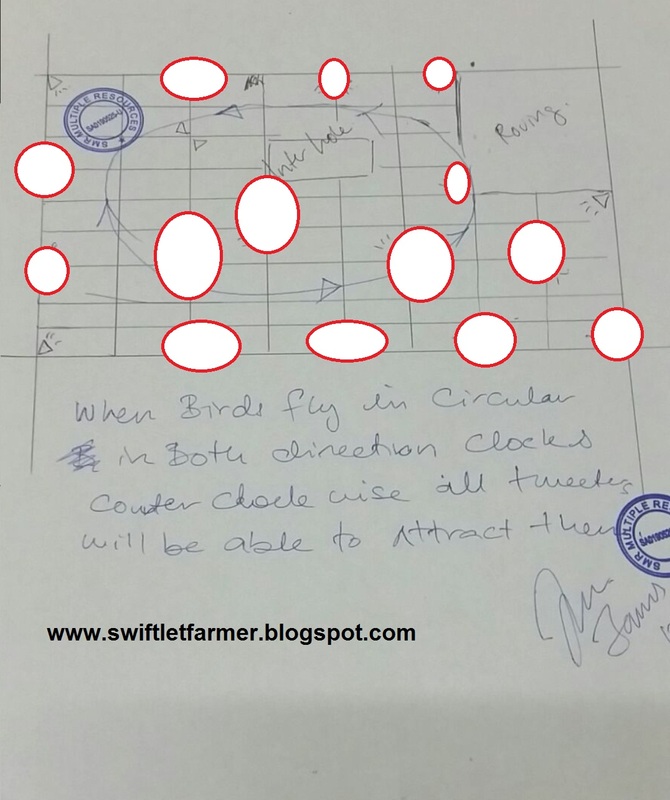 His Swiftlet farm outperformed all those Swiftlets farms which had started before his. How did he do it? You should ask him. If he could do it. Why couldn't you? He was the first few user of Love Potion. Those days Love Potion was packed in 1.5-liter packing. I still remember I sent many to Sarawak. Till today he still uses Love Potion. Now Love Potion is packed in 2-liter packing. I would like to thank him for his kind support. I am happy to witness the success. I am happy he is sharing these pictures with me. As you could see from the pictures, the nests are white and clean and in good size. He is not an ordinary Swiftlet farmer. He has gone beyond that. He knows how to control the internal environment. (Micro). He has learned well. The control of the humidity (RH) and temperature are excellent. All nests are rounder and full sizes. Excellent works! This is what I call a Love potion farm. 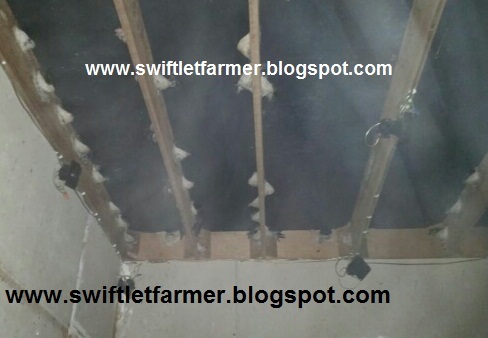 That is not all ......this Swiftlet farm is using the GS18 tweeters and the Gs18 sound system formation. 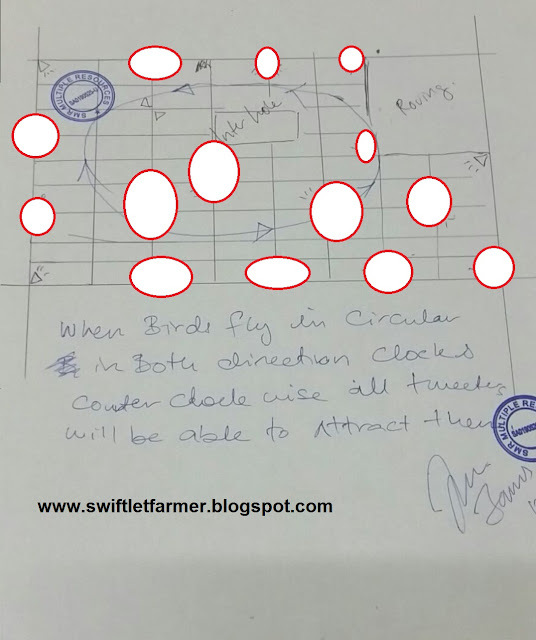 Coupled with the Hi-Nest B52 Amplifier it is attracting all Swiftlets in that area and swiftlets from other peoples' farms to stay and build nests at his farm. This is the sound system formation plan that I had designed for him. My apology, that I have to block all Tweeters positioning to avoid duplication which is not fair to him. 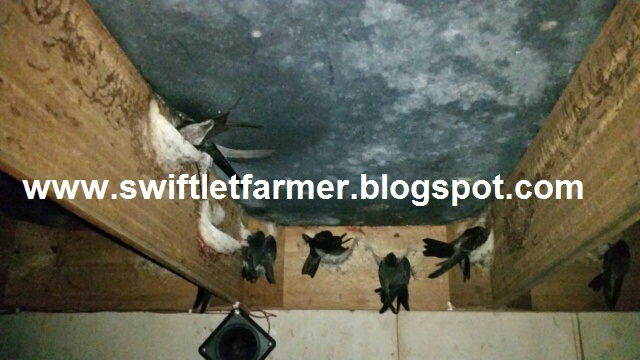 You can also have a successful Swiftlet farm in just a few years time. Provided you know what to do and follow a well proven systematical technique. Enjoy the pictures. 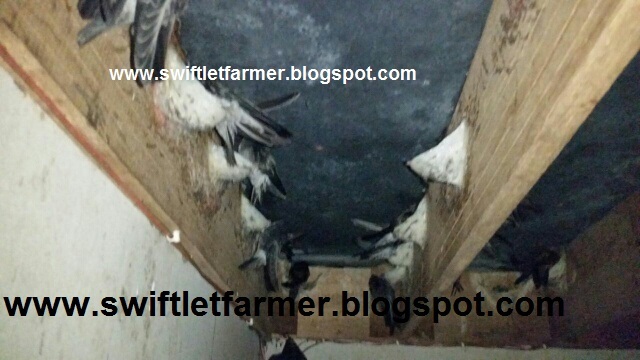 Good Swiftlet Farming All.